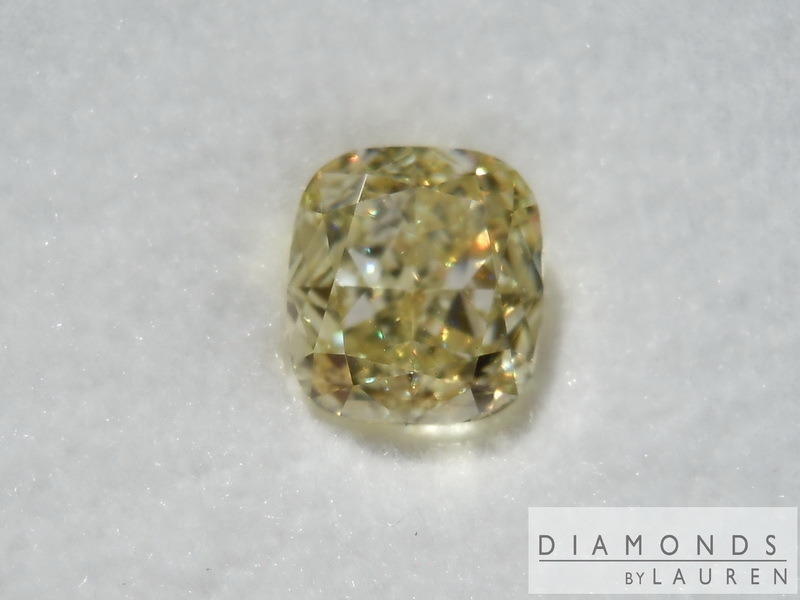 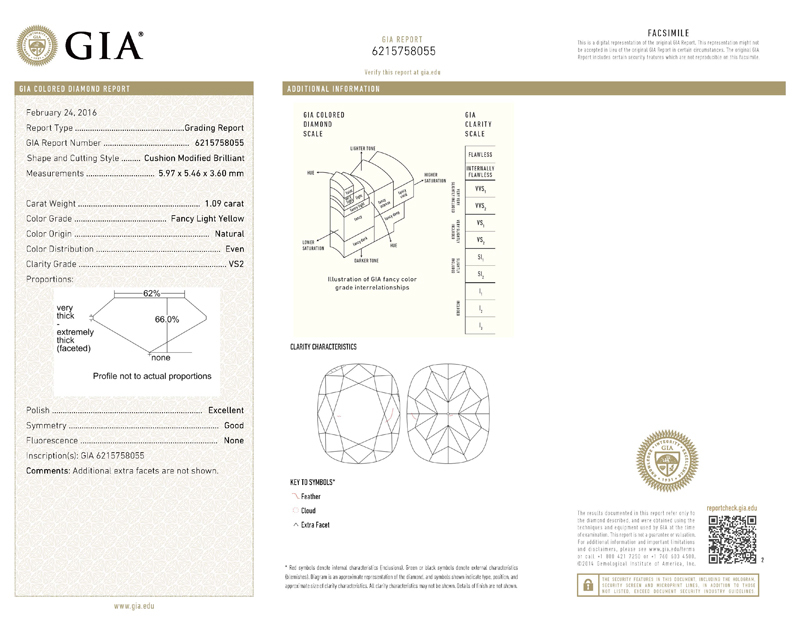 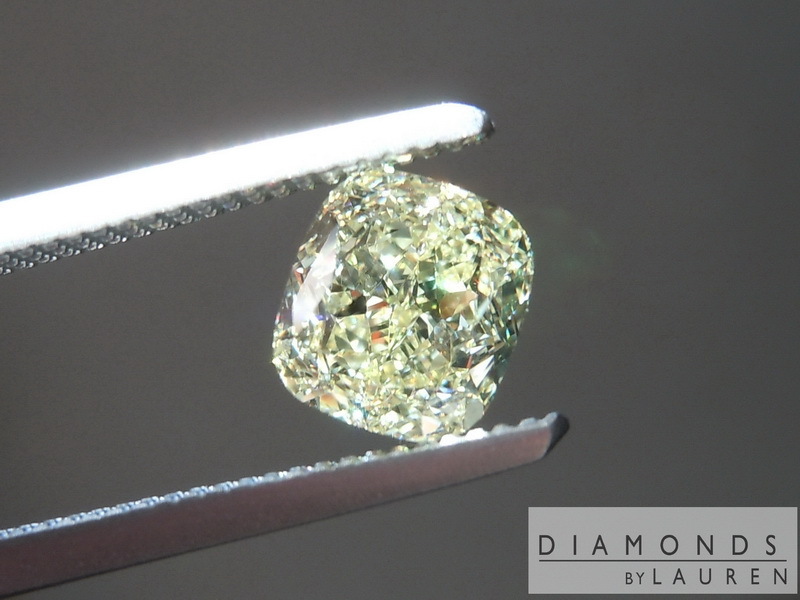 Here is a great value on a natural fancy light yellow cushion cut diamond. 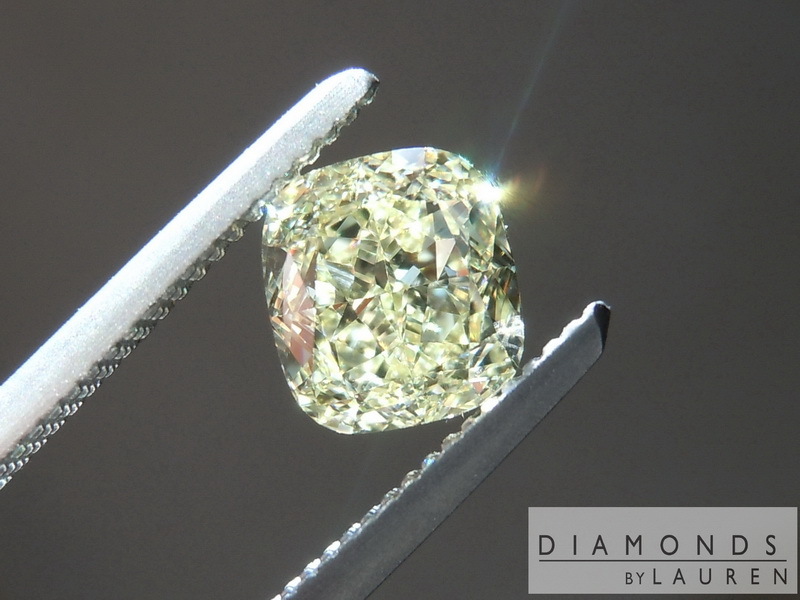 The cut on the stone is amazing – there is a generous crown with a nice, small 62% table. 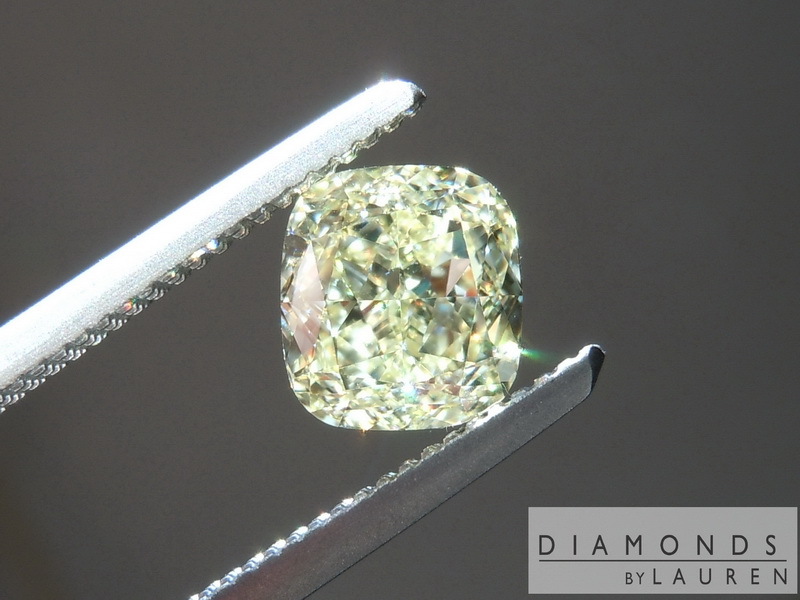 In terms of color, this is about as dark as it gets in Fancy Light Yellow. 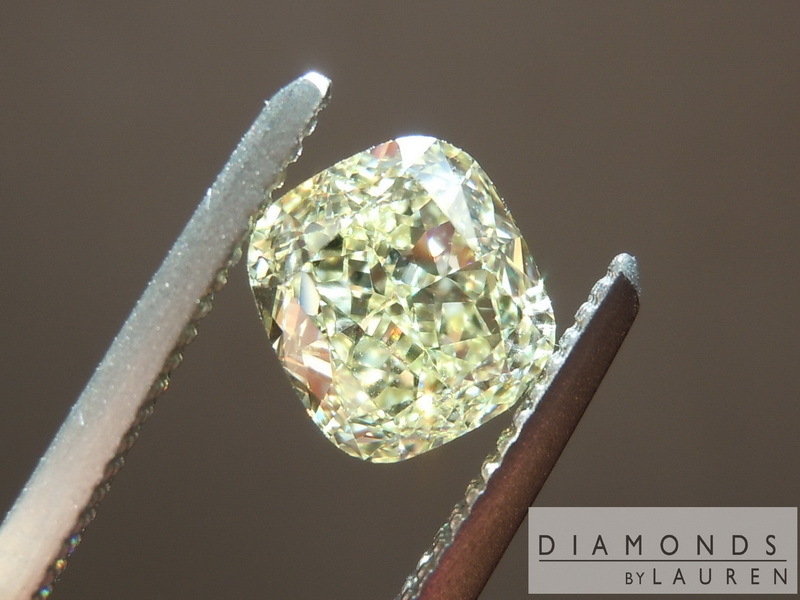 Obviously, this is a positive feature because if the stone was even a slight bit darker, it would be fancy yellow. 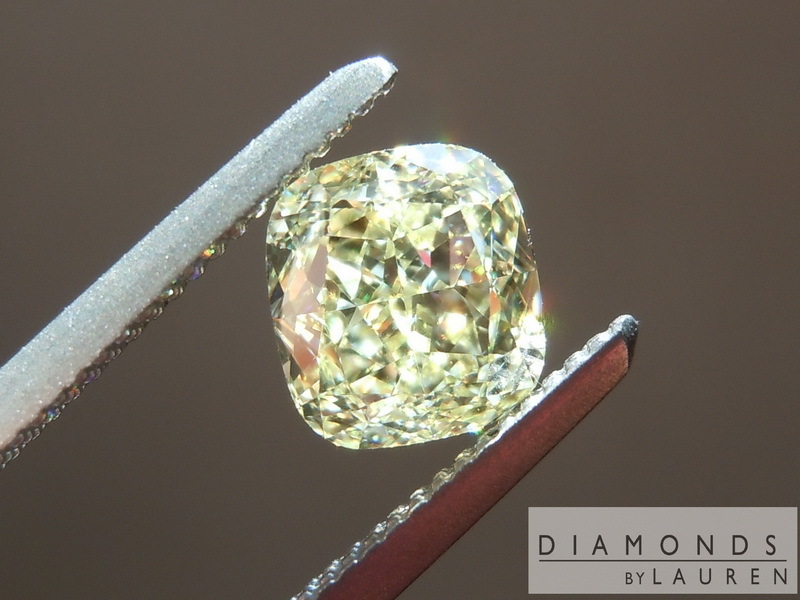 Which is about 25% more in terms of price. 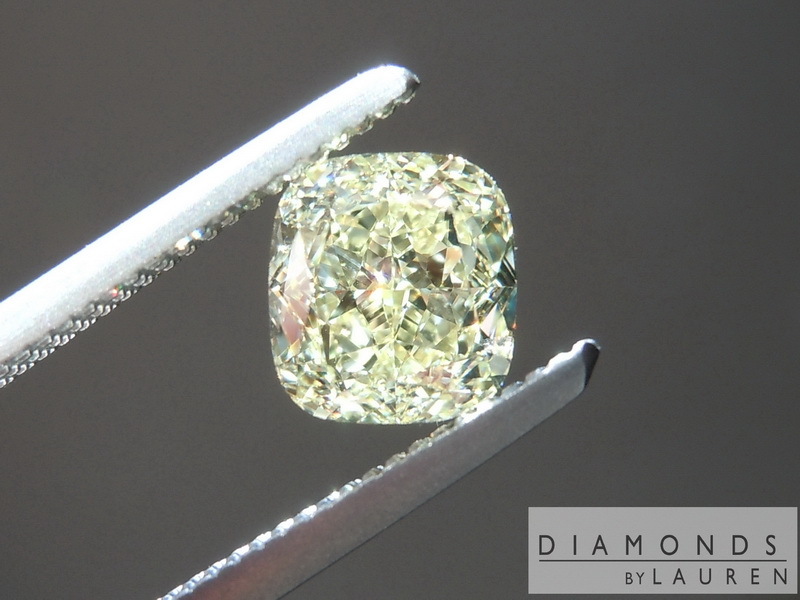 Perfectly eye clean VS2 – no florescence – the stone will look amazing once we set it.